How do you enjoy your walking? When do you enjoy going for a walk, in a spare moment, at weekends or maybe just holidays? 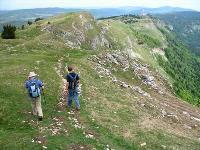 Do you walk to achieve something, like walking a long distance trail or walking up a mountain. Or do you like a casual ramble where the joy is in the scenery or just the act of walking itself? In his book The Walker's Guide to Outdoor Clues & Signs, Tristan Gooley gives you the tools to examine many aspects of the world around you whilst out walking. He demonstrates how we can read clues that are all around us in order to draw conclusions about cause and effect in the natural world. There may be those who enjoy walking to provide a distraction from everyday life and as a means to free up your mind to reflect, consciously or sub-consciously. To you, looking for clues in a conscious manner may sound invasive to your mind-freeing rambles; however, once you have tuned yourself into some of the signs, picking up on them can come naturally to you. For example, today I saw lots of empty snail shells left on a hard surface and from my own knowledge I could interpret that a Thrush is probably feeding a fledgling. Therefore leading me to listen out for any tell-tale bird calls. 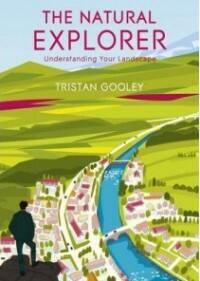 I have also read Tristan Gooley's The Natural Explorer. In the book the author demonstrates that the most rewarding travel experiences don't depend on the destination or length of journey, but on our levels of awareness and understanding of the landscape; exploration no longer being about hardship or long distances, but about celebrating the sense of connection and discovery. 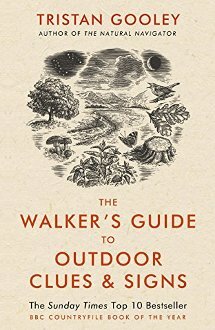 Rather like 'The Walker's Guide' it encourages us to interact with and appreciate our surroundings and see them in a new light.